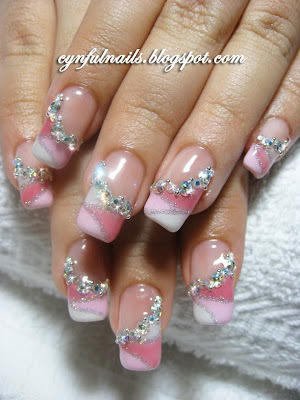 Cynful Nails: Gel nail art. Did this for a bride. 3 different colour gel used on the tips. Crystals and silver beads to complete the look and the bling effect! This is my favourite of all! Looks amazing even without the crystals. For a bride too!